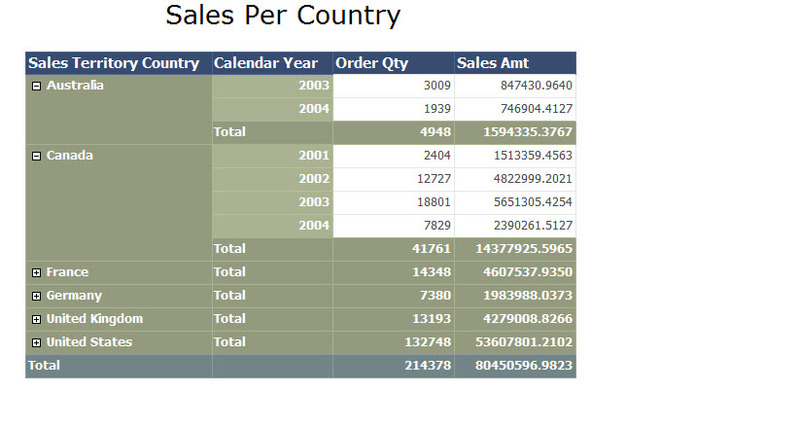 In this demo we will create a report based on a parameter using SQL Server Reporting services. 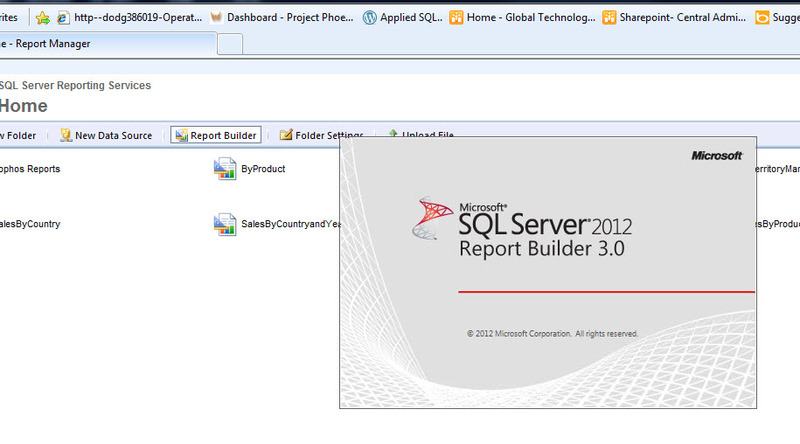 In my previous post i had shown a demo as to how to create a basic report using SQL Server reporting services. 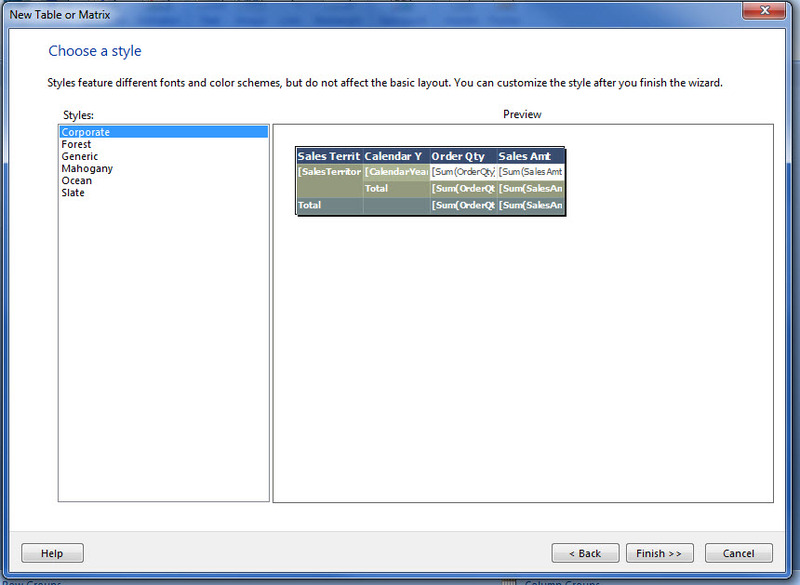 Step 7: Click on “Advanced” option and set the options as depicted. Click OK. 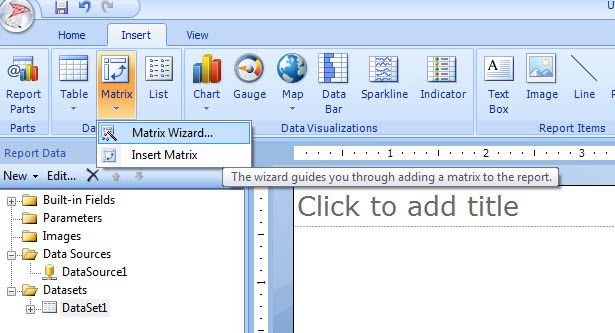 Step 8: Click on Insert tab and select “Insert matrix”. Step 10: Save the report. Now the report is ready to be run. Click on the run button in the home tab. The IE should show you the below. 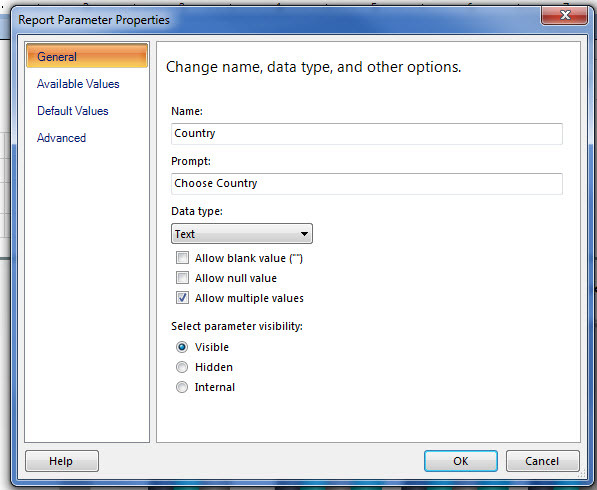 Select a country or multiple countries from the drop down and click on “View Report”. 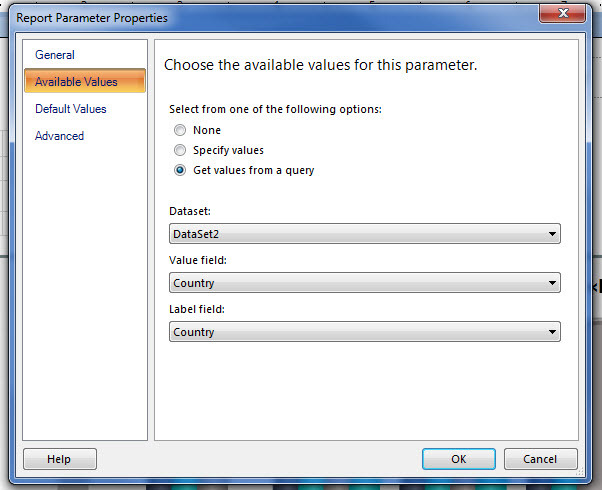 I hope this demo would help you to create a report based on a parameter. 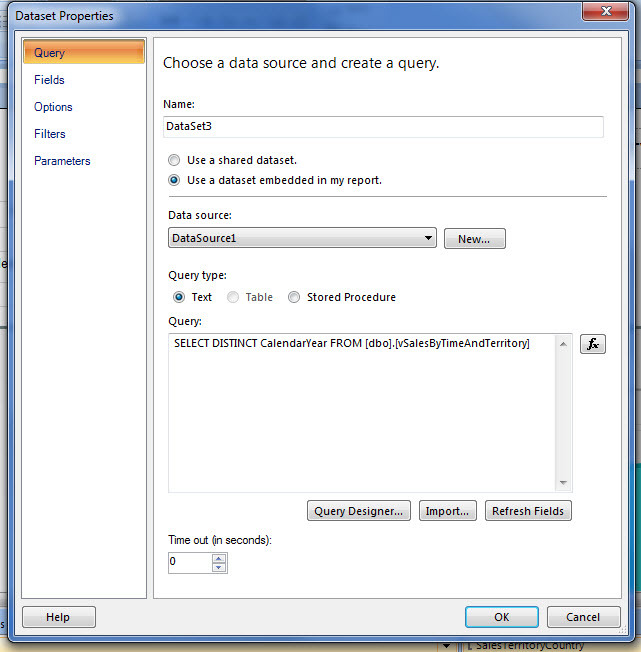 In this article i would like to give a demo as to how to create a report using SQL Server 2012 reporting services. I have been developing reports using this tool for some time and this attempt is to share my knowledge for the same. 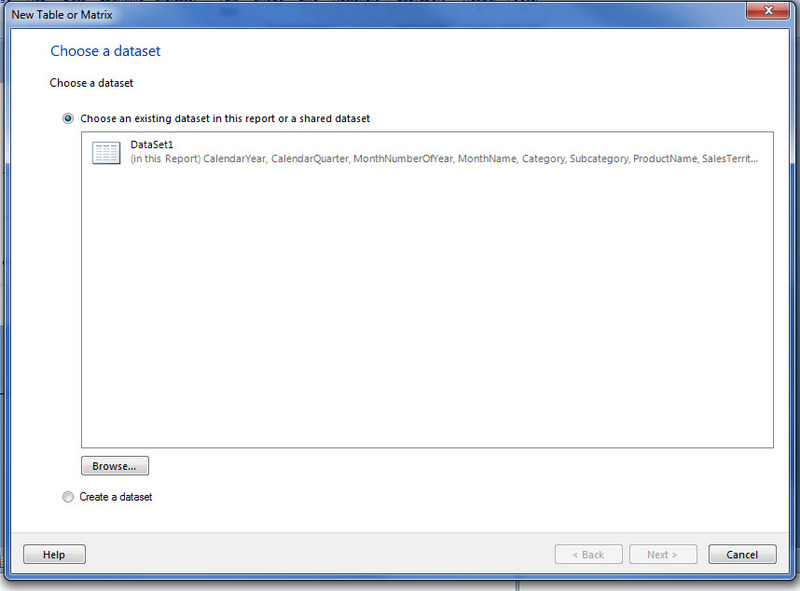 In this article i am assuming that SQL Server Reporting services is installed and is in a running state. 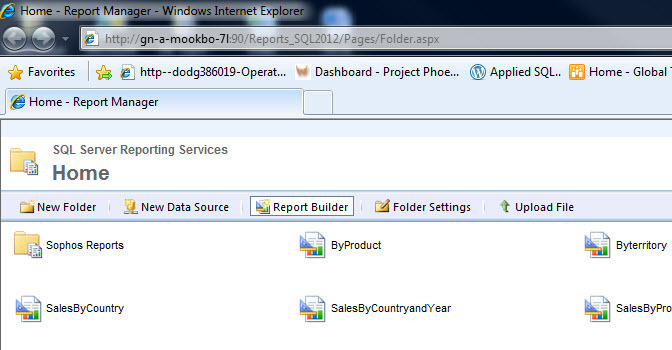 Step 2: Click on the Report Builder tab. 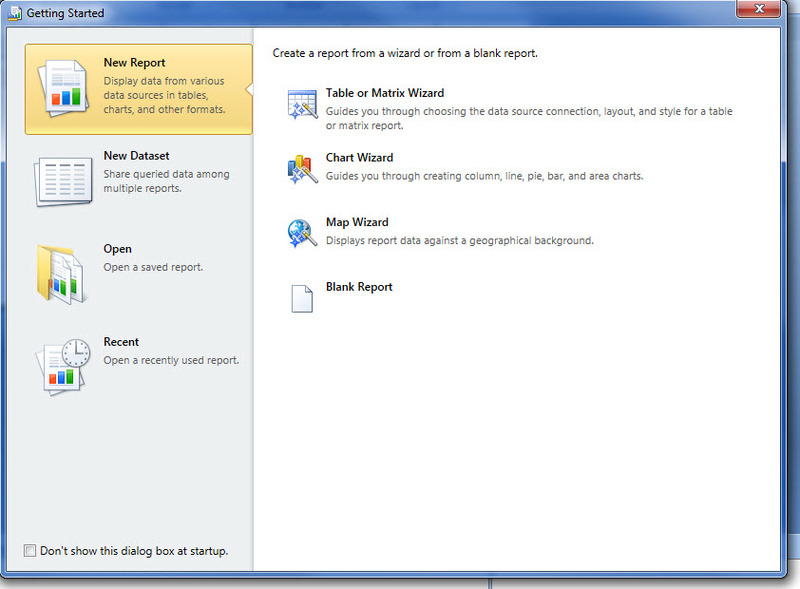 Step 4: Once click on “Blank Report” you will find the below scree. 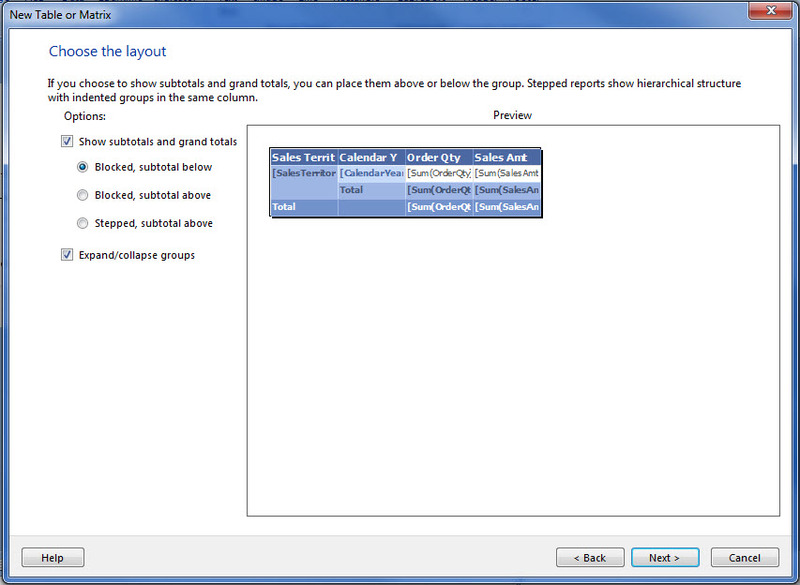 This is the report builder where we will develop our first report. 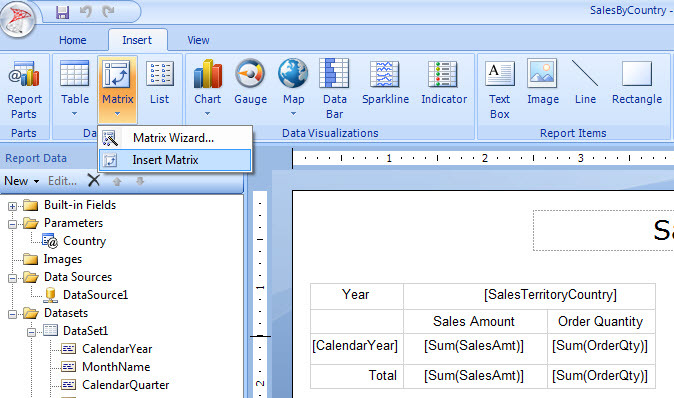 The while blank area is the body of the report where we will insert a matrix. 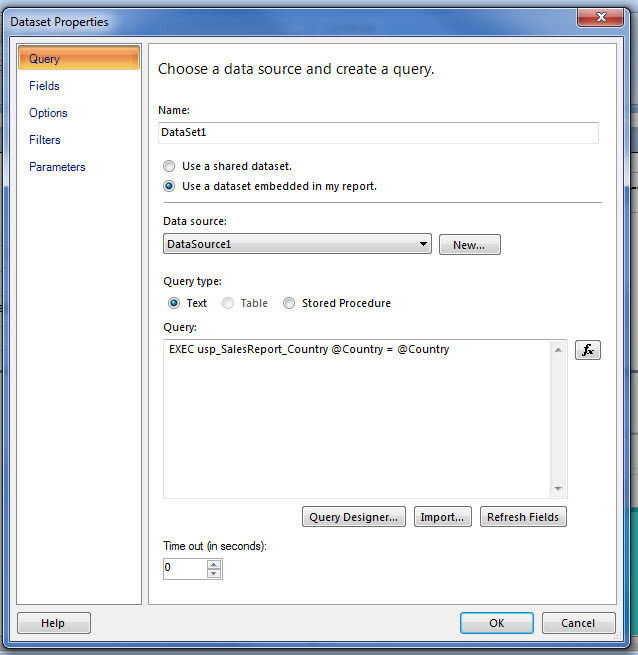 On the left hand panel are the data properties based on which the report will function. Let us go through each of the terms that we see there. a) Built-in-Fields: Built in fields help us render in built functionality on our report page. 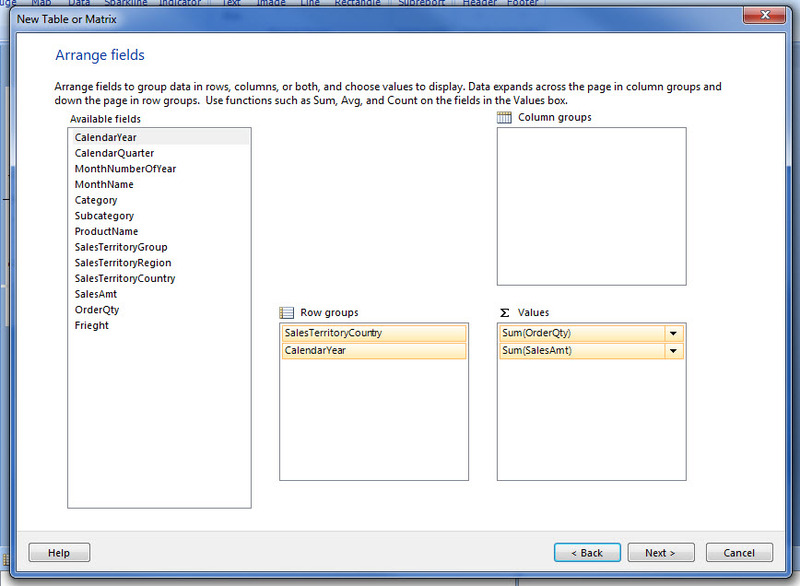 For example if we want page number on each of our pages in a report we can use the “Page Number” field from here. We will be using them in our demo. 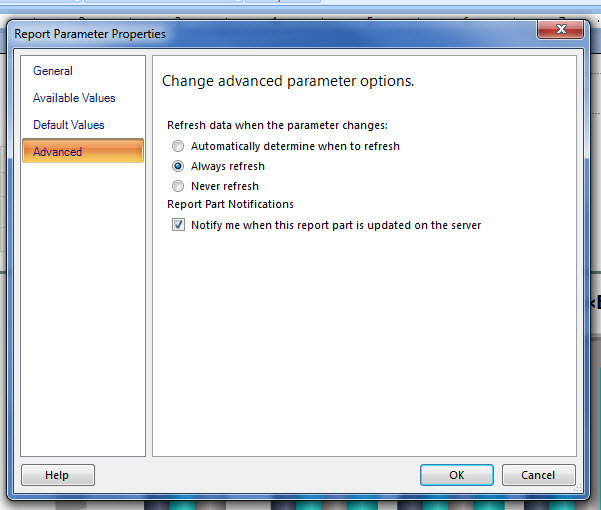 b) Parameters : Parameters help us to build reports based on a certain input. For e.g if we want to extract some information based on 2 dates, then we need to define parameters based on which the report will pull data and display. c) Images: This will help us add images to the report. 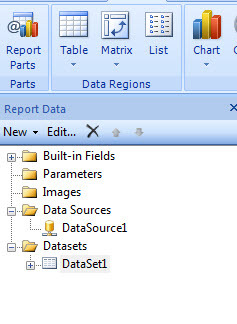 d) Data Sources: very important aspect of Report Builder(RB). 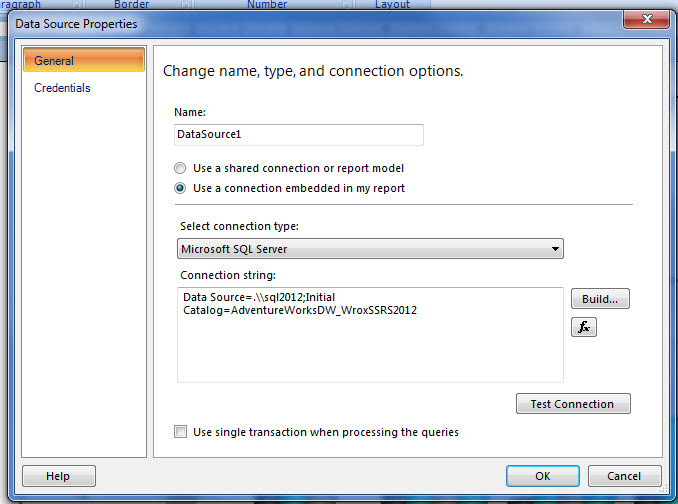 Data source help us define and maintain the source from which we will pull data for the report. I will explain Data source with more clarity once we start developing the report. 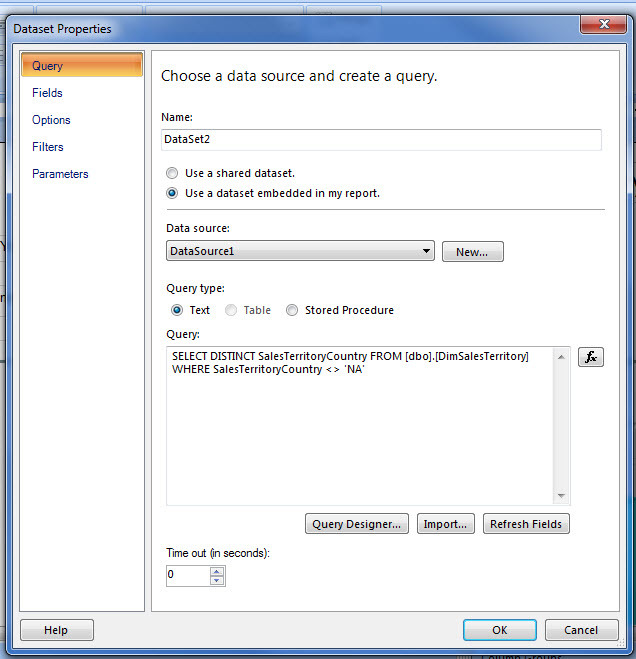 e) Datasets: A dataset specifies a query, query parameters, filters, and a field collection. It might be a query, table or stored procedure. Let start to build our report now. 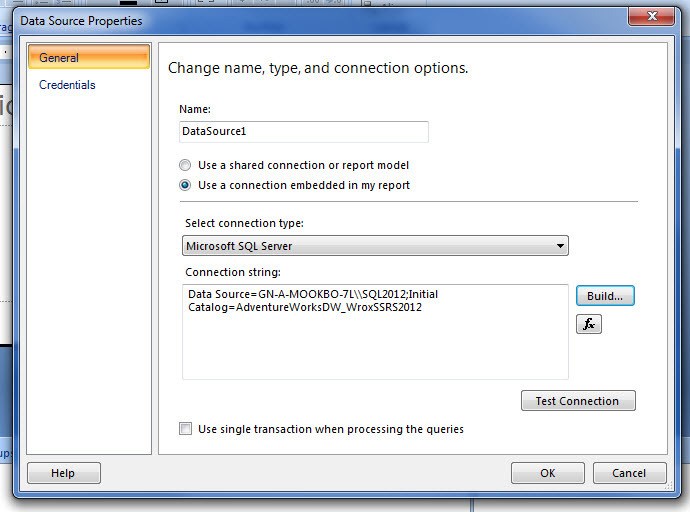 Step 7: Once you click on the build button, the “Connection properties” dialog box will come up. 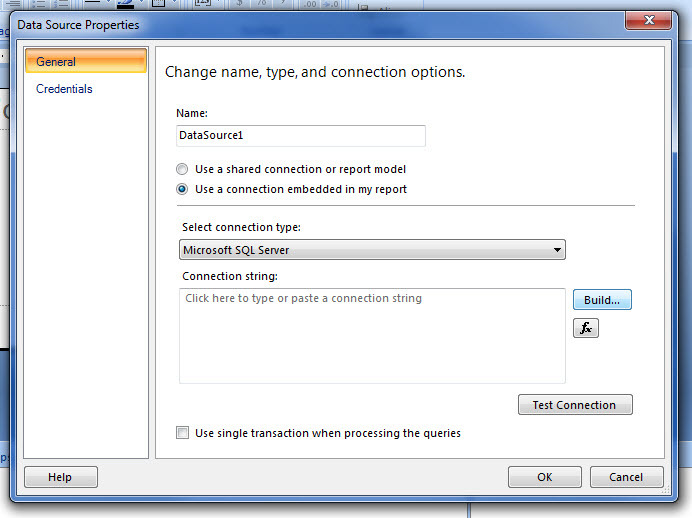 In the server name field, type in the name of the SQL server from where you want to pull data. 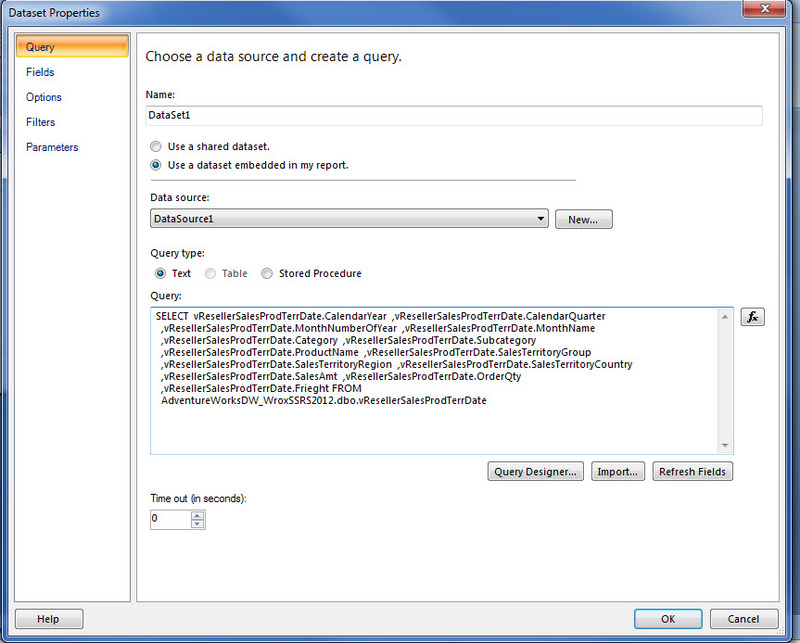 Once you feed the server name, select the name of the database from where you want to pull data. 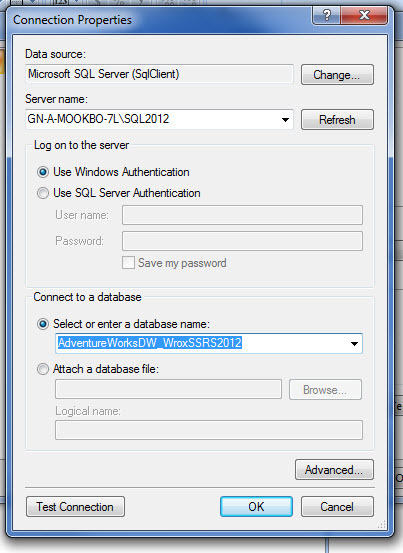 In our example we have used the [AdventureWorksDW_WroxSSRS2012] database. 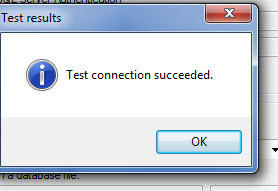 Click on “Test Connection” button to verify the connection. 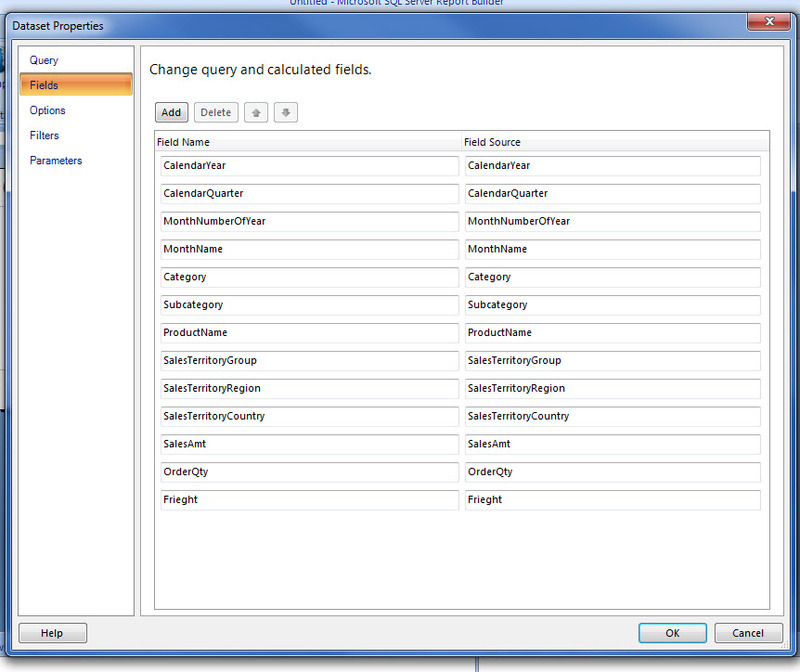 Click on OK.
Click on the fields tab below the query tab and you find the fields populated. Click on Ok and you will find your dataset ready. Below images for illustration. Step 14: When you click on finish you will find a template which will have the fields you had selected.Give a name to your report. Expand the Built-in Fields option and drag the “Page Number” property below the template. Save the report. Now your report is ready. 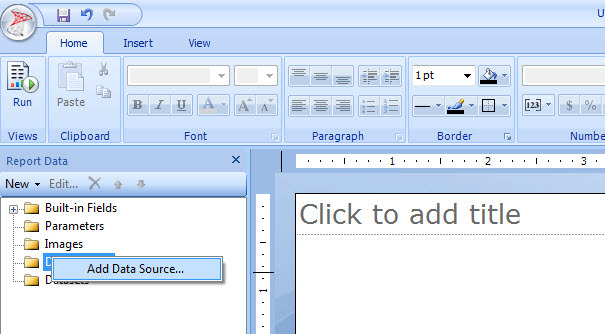 Click on the Run button and your report will open up in IE. I hope this article was helpful in building a basic report from scratch. 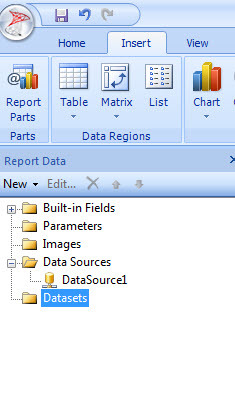 In my next post i will discuss how to build a report based on parameters.